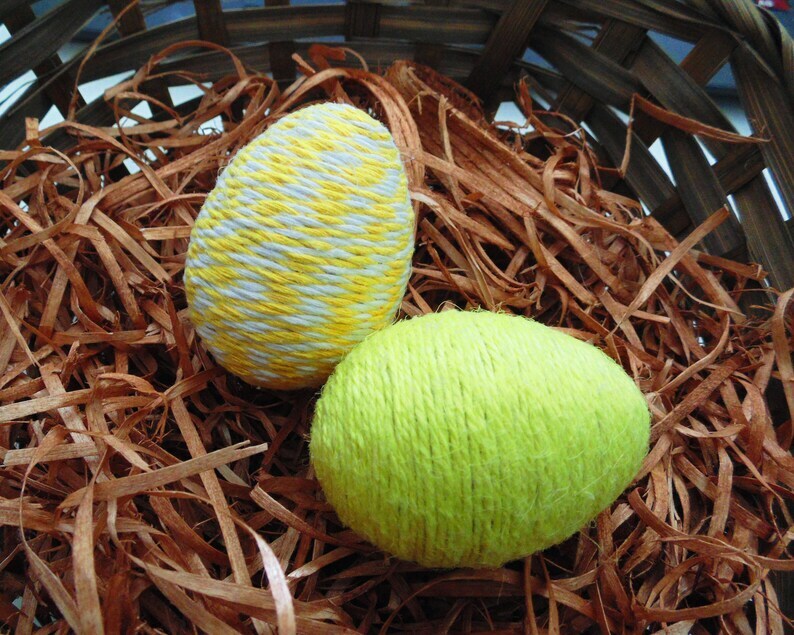 Brighten up your Spring Decor with these Yellow Jute and Twine Easter Eggs! Hand Wrapped with Yellow Jute and Yellow/White twisted Twine! Approximately, 3 inch sized eggs, - just like the real ones!